Amy, Wellbeing Practitioner from Counselling, Health and Wellbeing, tells us all about University Mental Health Day. Thursday 2nd March is University Mental Health Day! University Mental Health Day is a national initiative started by Student Minds, designed to raise awareness about mental health on campuses across the UK. This year the focus is on Active Mental Health. Did you know that being active is one of the five ways to wellbeing? Whether you get active through physical exercise or recreational activities, activity is a key part of looking after your wellbeing. Our mental health can change from day to day, but we can help keep it in check by staying physically active. There are lots of ways you can get active about your mental health! Whether it’s by practicing mindfulness, starting yoga, joining a society or by taking your first step to better mental health by making an appointment with us here at Counselling, Health and Wellbeing. 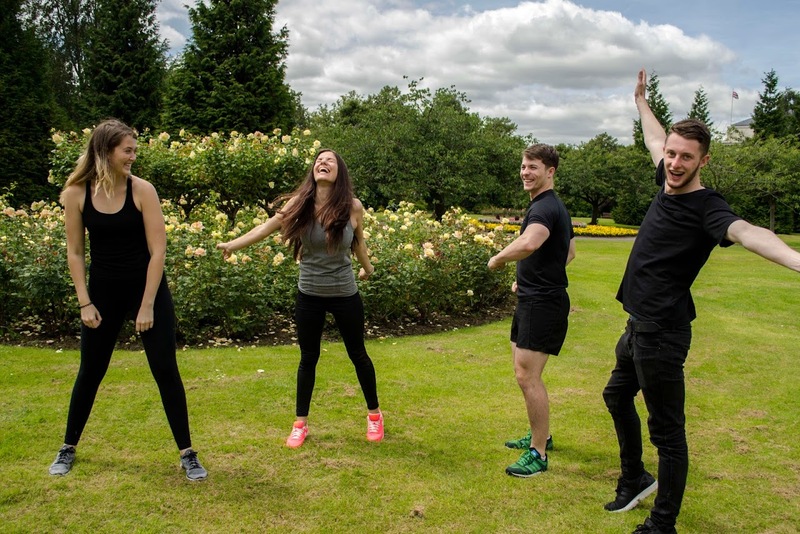 Keeping fit can improve your mental health and general wellbeing. 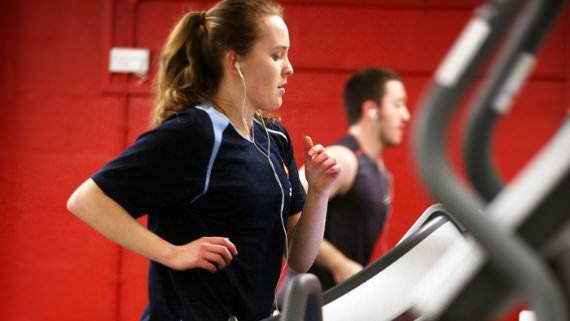 The exercise on referral scheme is a joint initiative between Counselling, Health and Wellbeing and Cardiff University Sport which is designed to support students experiencing low mood or anxiety who may benefit from a supported exercise programme. A member of the Counselling, Health and Wellbeing team must refer you to the scheme, which is a fully funded programme of one-to-one support with a member of the sports team. To find out more, read the our blog or take a look at the keeping fit intranet page. There are hundreds of societies here at Cardiff University which offer great opportunities to meet new people, build support networks and get active by trying something new or taking up an old hobby. Find out more about joining a society here. As part of #UniMentalHealthDay, Student Minds have teamed up with the Wales Psychiatry Society to run an art competition for students inspired by their experiences or perceptions of mental health. The entries will be judged by a panel consisting of a psychiatrist, a psychologist, a medical student and an individual with lived experience of mental illness. The Express Yourself Art Exhibition is a free event taking place on Thursday 2 March, 5.30-8.30 in the Hadyn Ellis Building. There will be a wine reception, nibbles, an opportunity to browse the artwork and a screening of a short film produced by medical students at Cardiff University, before the winners are announced. Find out more here. We’d love to hear about how you’re getting involved this University Mental Health Day! 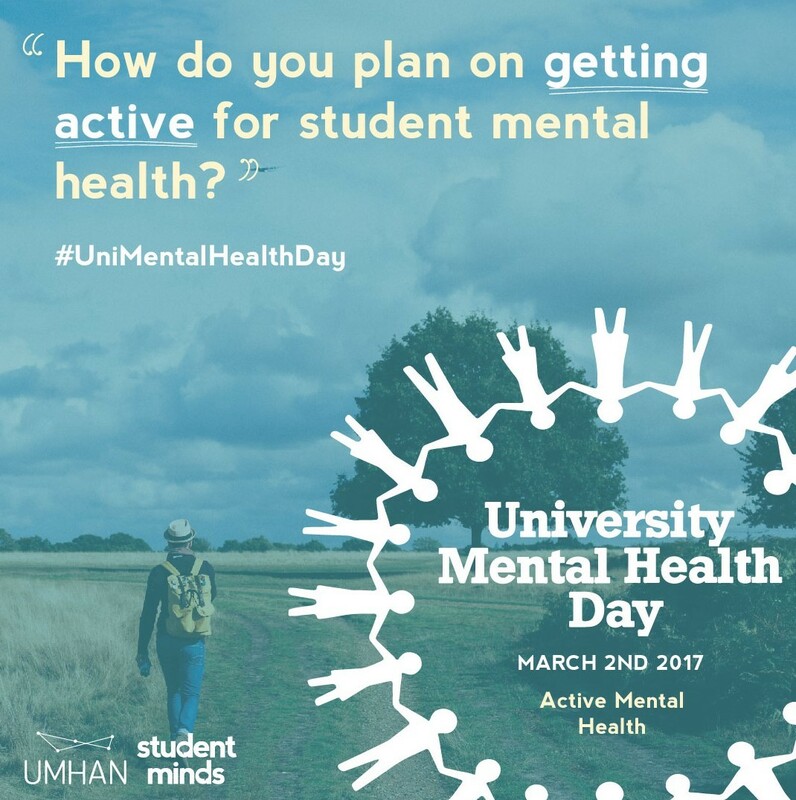 Tweet us @studentlifecu with the hashtag #UniMentalHealthDay and let us know how you’re getting active for your mental health. Amy, Wellbeing Practitioner, Counselling, Health and Wellbeing Team.